The second recipe I signed up to blog for the Cookies, Bars, & Biscotti section of the Modern Baker Challenge is a modern twist on a classic: gingersnaps. What sets these cookies apart from their old-fashioned counterparts is the use of three kinds of ginger: powdered, fresh, and crystallized. Having just received an order from King Arthur Flour containing some deliciously spicy, finely diced candied ginger, I was ready to make these cookies. Although there are quite a few ingredients in this recipe, like most cookies, the dough came together quickly. I mixed the dry ingredients, creamed butter and sugar, added egg, then mixed in the dry ingredients and minced and crystallized ginger. 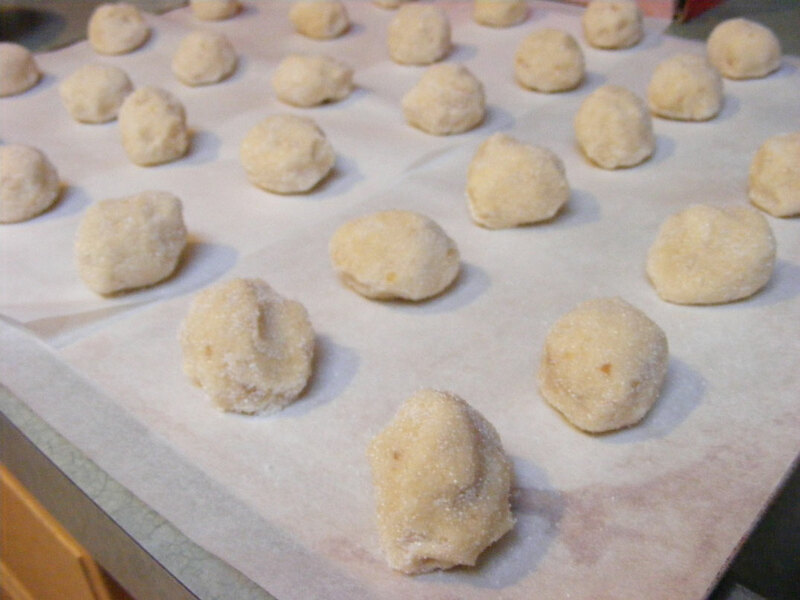 After that, it was just a matter of scooping the dough, rolling it into rounds, and dredging the dough balls in sugar. I baked the cookies in a 325°F oven for about 15 minutes, which was the low range suggested in the recipe. I like my gingersnaps chewy, rather than crispy, so I took them out of the oven as soon as they were set. These were easily the best gingersnaps I’ve ever tasted. The three types of ginger give them a strong, but not overpowering, ginger flavor. 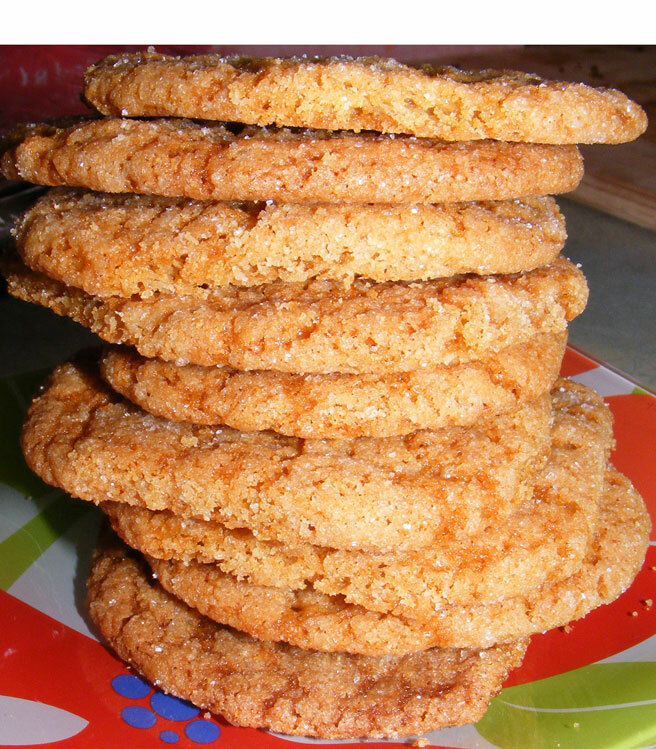 The candied ginger added a spicy, sweet note that really sent these cookies over the top. I loved them warm. I loved them cold. I ate them for dessert, breakfast, lunch, and everything in between. I know we still have a lot of cookies left to make (this is my second out of 25 recipes in this section); but I will be making these cookies again before I move on. And probably a few more times along the way. Love baking with others in the kitchen. These were good, evern without the crystalized ginger!!! They have quickly become one of my favorite cookies. Fun making these with you…yours turned out really pretty, love that photo at the top of your post! 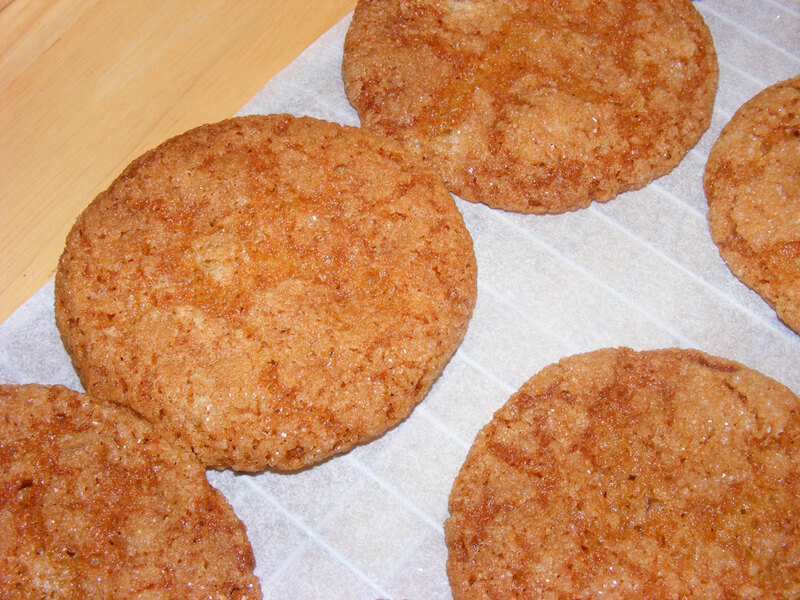 Agreed…best gingersnap cookie ever! I made these again the other day to take to work (and have for home). They were a big hit. Your gingersnaps look wonderful!! I can’t wait to make these. I hope they are as good as Alton Brown’s gingersnaps. I’ve never made AB’s recipe. But these would be hard to beat. 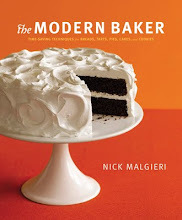 I love that this had all three gingers.. and the heat from the candied ginger would be a nice touch! The KAF candied ginger is really nice. Flavorful, with a bit of a bite, but not too spicy. Such a dangerous section! A home run cookie and you have so many more cookies to go! These sound like you could just make them 25 more times and be happy. I’m taking cookies to work on Thursday. Wanna guess what kind? We really really loved these, too. They will definitely be repeated at our house in the next few days. Yours look perfect! Thanks! I think I’m going to make these to take to work this week and to send to school for teacher gifts.